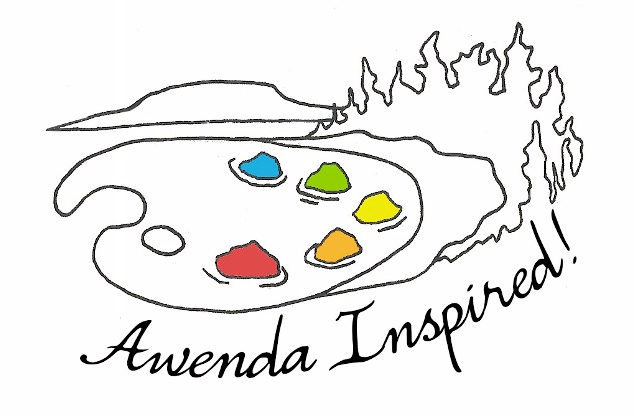 There were many stages of glacial and post-glacial lakes that covered the Awenda area. 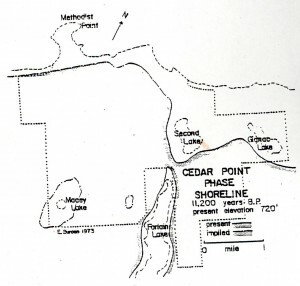 After the re-advance of the Laurentide Ice Sheet, glacial Lake Algonquin covered much of the area now known as Awenda Provincial Park. 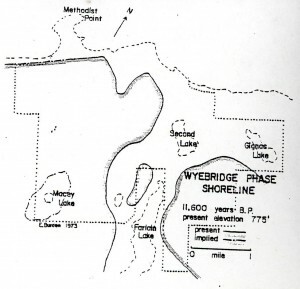 Only a few areas of high elevation were above water, including a small cluster of islands on the high ground in and around the present day Robitaille Homestead Trail. 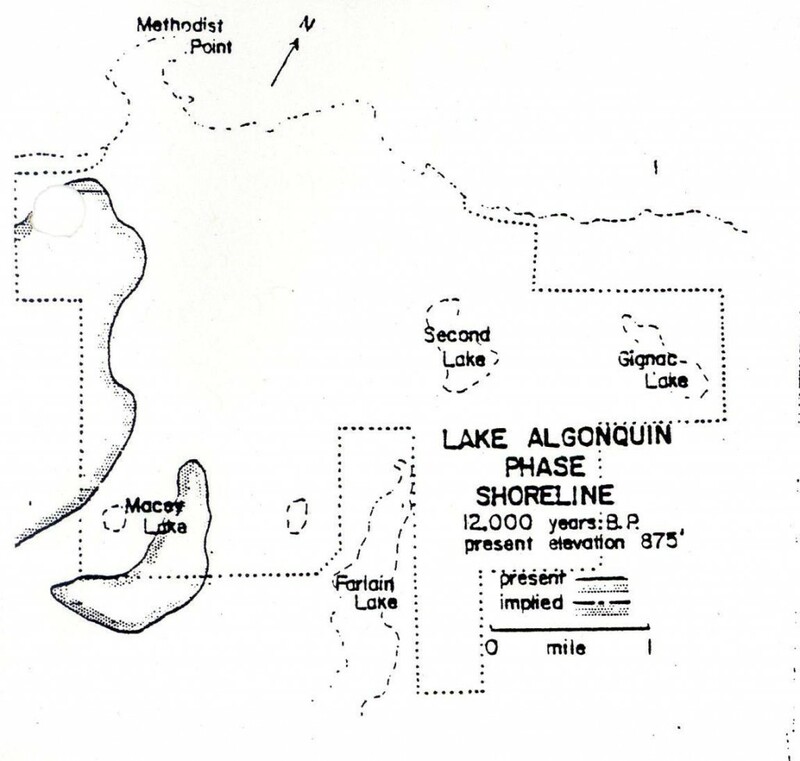 Water from the melting ice sheet flowed into Lake Algonquin and made its way through what are now the Lake Michigan and Lake Ontario basins. Between 11,400 and 11,000 years B.P. the ice retreated from the Mattawa River Valley, creating a new route for water to flow from Lake Algonquin. 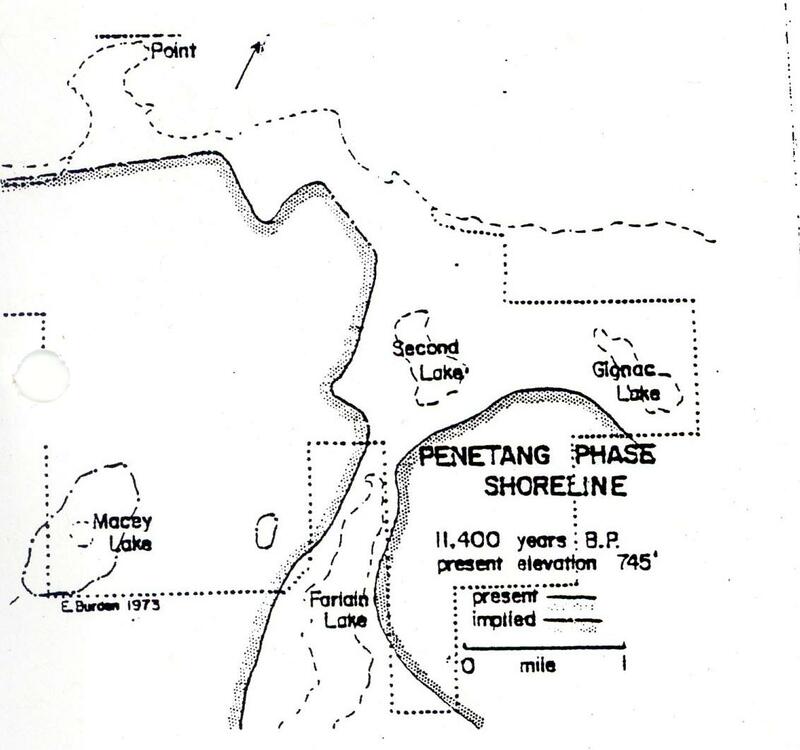 During this time a number of phases created numerous shoreline features or raised beaches. 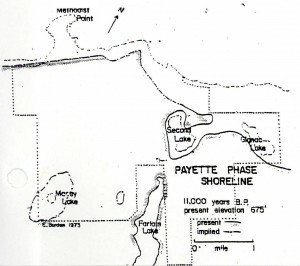 These included the Wyebridge, Penetang, Cedar Point and Payette phases which, unlike other areas of the Province, are clearly visible on the Awenda landscape. 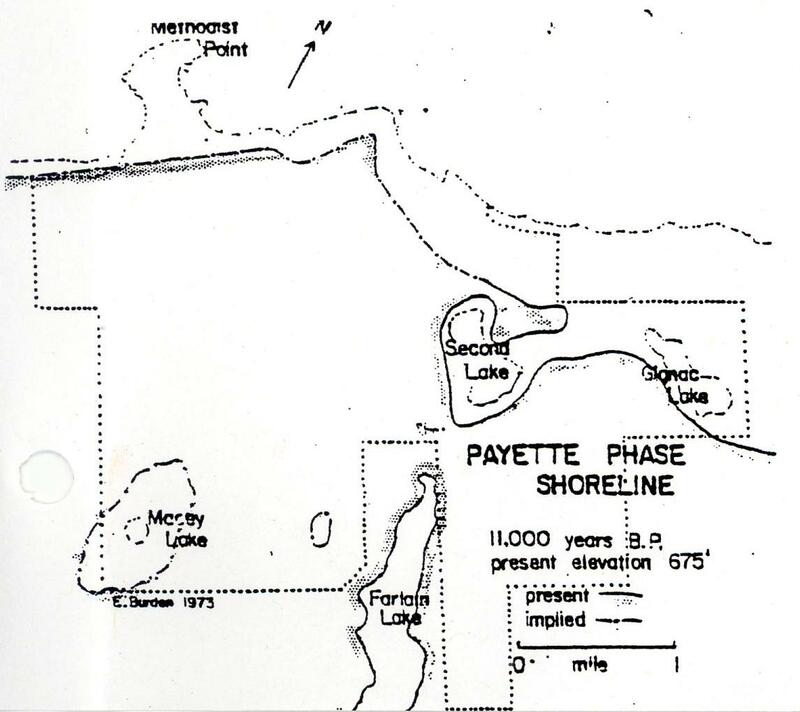 The elevation of these shorelines was considerably lower than they are today due to isostatic loading. 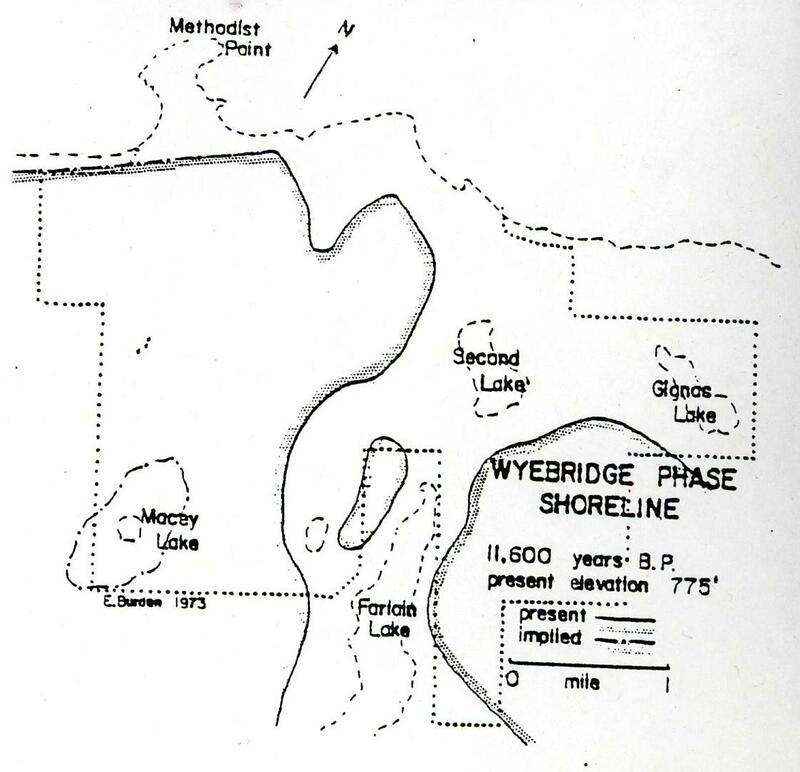 By 10,600 B.P., isostatic rebound had caused water levels to drop well below present day lake levels. Much of the evidence of these stages is underwater. 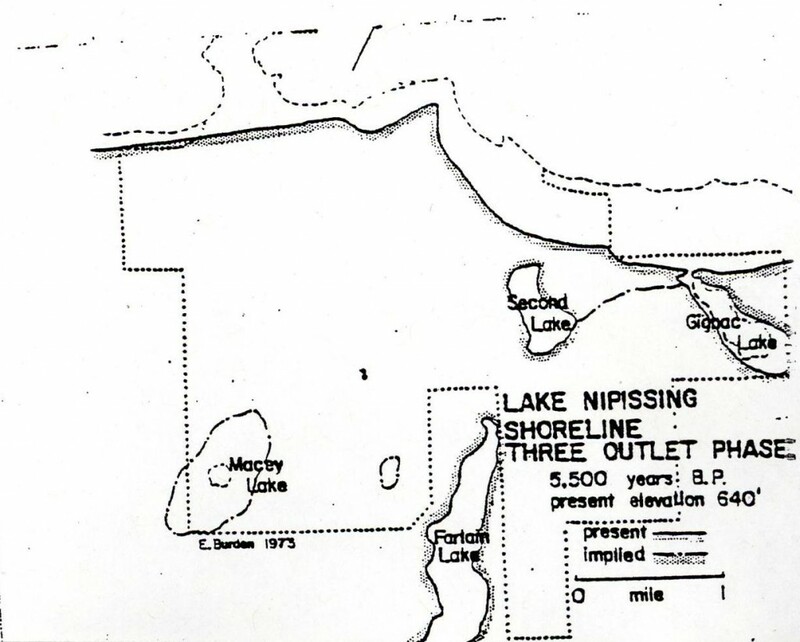 By 8,700 B.P., isostatic rebound caused the Mattawa River exit to be blocked and the water levels rose again creating Lake Nipissing. 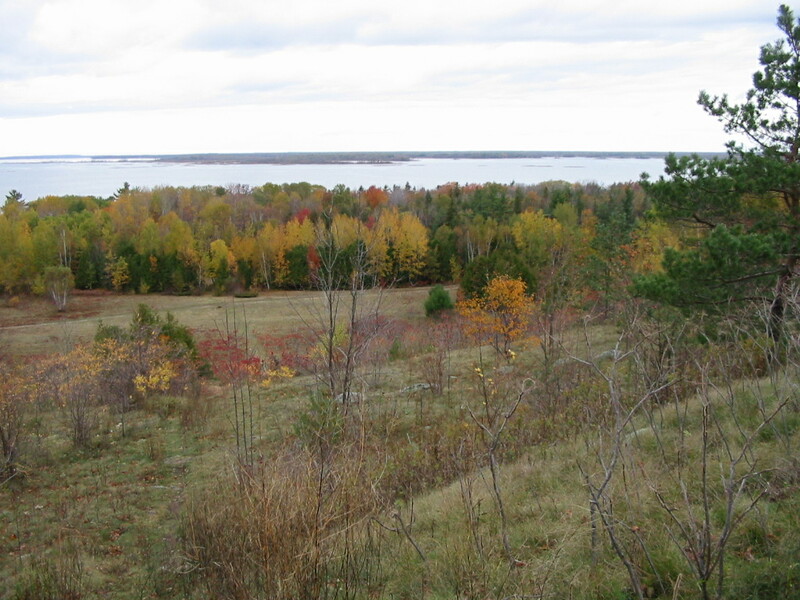 The shoreline of this post-glacial lake created what is now known as the Nipissing Bluff. 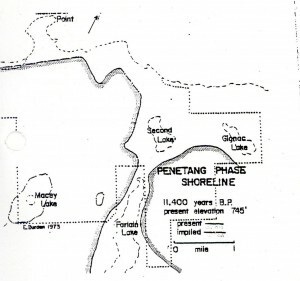 Lake Nipissing shaped Awenda’s landscape for 4,200 years. 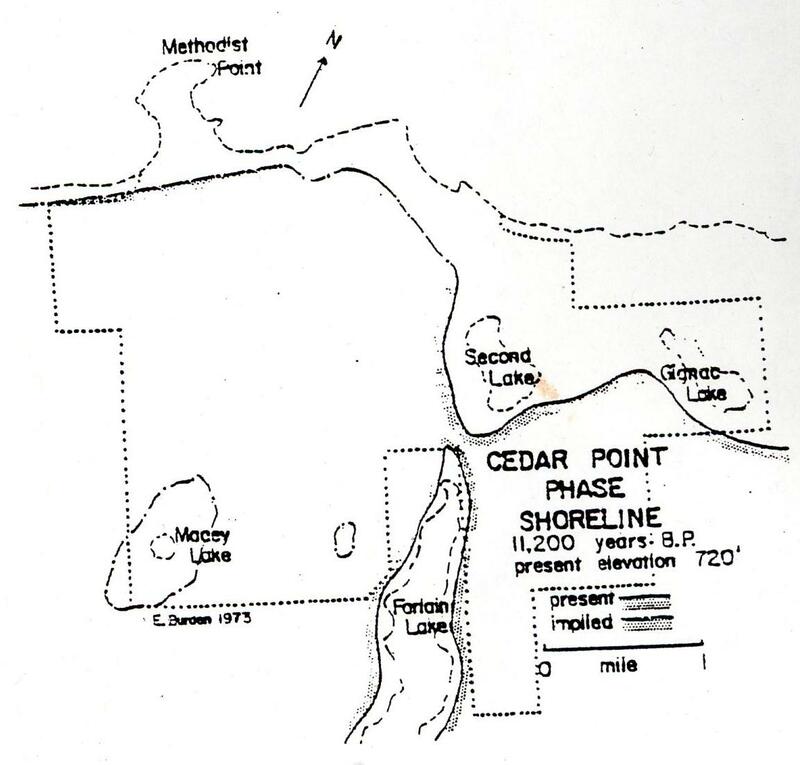 Due to continued isostatic rebound, the bluff is now at an elevation of about 195 metres above sea level, rather than the 184 metres above sea level of Lake Nipissing during the time of its existence.